There are many kind of pests, some can be easily spotted before reaching to the stage of infestation, and some are only found out once the damage has been done. Termite is one of those pests, which are very difficult to be spotted before the infestation occurs. Unfortunately, termites are very common and according to recent survey, more than 75% of Australian households at some point in time have encountered termites. Hence, if you are those lucky ones who have not seen those termite days, then the best advice will be is to get your house inspected regularly by a professional termite control Melbourne agencies who are well versed with all the methods to treat pest and find out before they reach a stage of infestation. The sad thing about termite is that they are very tiny insect like pest who stay in colonies, dig holes in wood, and make them hollow, thus damaging furnishing and furniture. The effect of presence of termites is generally found out only when the damage is done. Termites can thrive anytime of the year but are most common in wet conditions; therefore even if you are sure that termites are not dwelling in your property it is still advisable to get your house inspected. Discarded wings – When termite reproduces or mate, they shed their wings, in fact shortly after they mate the male termite often dies. Termite swarmer’s – Termite like to fly out of their nest when they are expecting a new one and often are seen in big swarms. Mud tubes – Termites very often leave a mud like earthen packing on the other side of the wooden surface. This can be an obvious sign of presence of termites. Holes in wood – Termite feed on wood and they damage the wood with time by building holes in the form of a honeycomb pattern, this eventually leads to wood sagging and eventually damaging the entire surface. Hallowing sound due to termite burrows – As mentioned above ,due to holes, a hollow is created ,which is often also known as termite burrow. If you are able to hear an echo sound in your furniture then there is sure to be an infestation of termite. 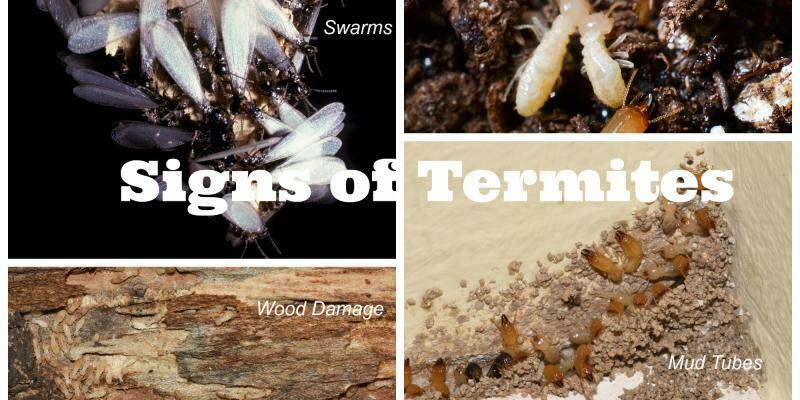 If you witness any of the above signs, then without wasting any time it is best to get in touch with a professional pest control Melbourne agency, which specialises in treating termite infestation.